One hundred and fifty years ago this summer, a frustrated mathematician and part-time nanny put the finishing touches on what would become one of the world’s most popular works of children’s literature. 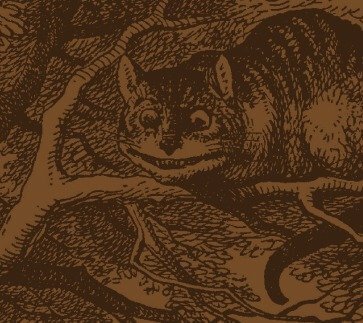 Beneath Alice’s Adventures in Wonderland’s splendid surrealism of disappearing cats, outsized rabbits, and deranged milliners, lies a simmering discomfort—one that explains the story’s persisting relevance. Struggling as a lecturer in mathematics at Christ Church at Oxford, Charles Dodgson took an afternoon job caring for Alice Liddell, the young daughter of the college’s dean. Ever the multi-tasker, Dodgson concocted stories to at once entertain Alice and wrestle his own academic demon: how to find his intellectual place within his chosen field of study. Mid-nineteenth century mathematics was facing an existential crisis. New thinking and theories posed a seismic threat to the foundations of traditional mathematics. The concreteness of arithmetic and the tangibility of Euclidean geometry were bombarded by innovative and disruptive ideas. Dodgson reserved his most colorful imagery for complex number theory. In 1843, William Rowan Hamilton proffered his theory of “quaternions”—a rotating four-dimensional construct consisting of three imaginary numbers and one real number. For a traditionalist like Dodgson, complex number theory piled nonsense atop absurdity. 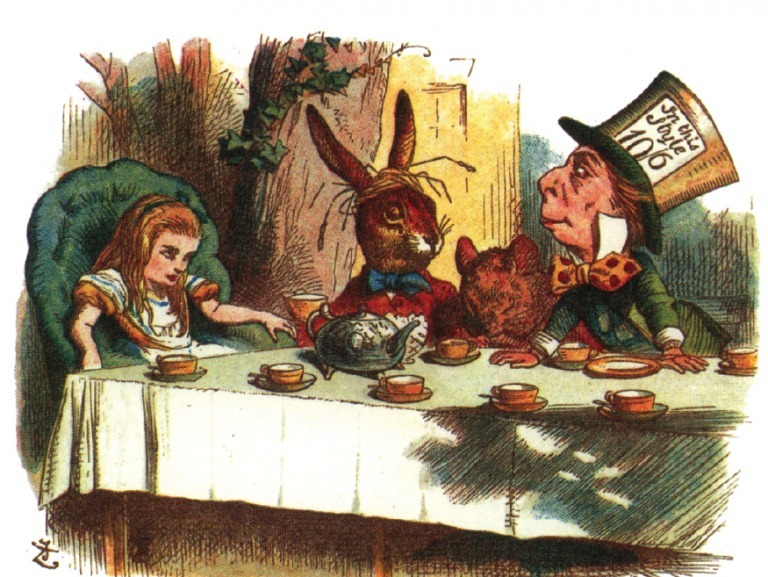 His memorable lampoon of quaternions: a ridiculous Tea Party in which the Mad Hatter, March Hare, and Dormouse (three imaginary figures) and Alice (a real figure) continually rotate places. “And how many hours a day did you do lessons?” said Alice. 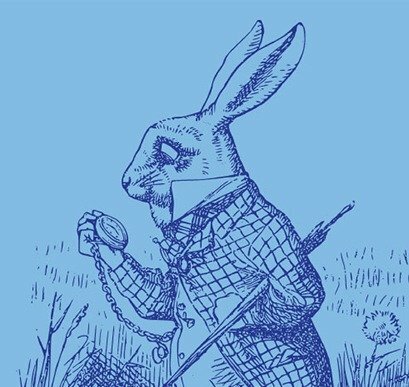 Reflecting Dodgson’s personal frustration, Alice’s lasting literary gift is a vocabulary of bewilderment and incoherence. For children, this gift is creative, elastic, and developmental. For more ossified adults, it is merely cathartic: we invoke “Wonderland” in frustration and resignation. History judges Dodgson a better writer than a mathematician: non-Euclidean geometry and complex number theory are essential for much of our world, from GPS to quantum mechanics to 3D animation. But this judgment misses Alice’s deeper teaching. 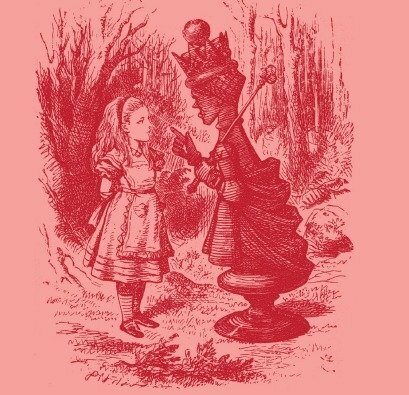 Alice reminds us that when we cannot make sense of the world, we must re-examine our premises and fundamental theories. Alice’s growing and shrinking, the rotation of imaginary numbers, the concept of negative quantities–these all make sense within a modern theoretical framework. Just as physical phenomena that seem strange within a Newtonian paradigm make sense under Einsteinian physics, modern mathematics makes sense of all that Dodgson found so bewildering. Today, we find ourselves in an economic Wonderland: a world of sustained negative interest rates (both real and nominal), unfathomably-high labor productivity, sustained hyper-liquidity, instantaneous information flows, extreme concentrations of wealth, atmospheric asset prices despite titanic uncertainties, and more. Unglued by this reality as Dodgson was by negative numbers, we invoke Alice in frustration. But as a mathematical allegory, Alice reminds us that we must do more than shake our heads. We must embrace incoherence and move beyond bewilderment. We must create a new economic theory—the financial analog of a post-Newtonian physics or post-Euclidean geometry. Without a comprehensive, unforgiving, scientific reconsideration of how to manage our post-crisis, cash-sodden, nano/cyber/global economy, we may never find our way out of the rabbit hole. Alice is a mathematical allegory. The distortion Alice undergoes— growing, shrinking, stretching—represent the strange images conjured by the then-emerging “non-Euclidean” geometry.